Towards the end of last year I was fortune enough to travel to the UK for a few weeks. I had booked my return flight to London and decided to include some stops in Dublin, Belfast, Edinburgh and Inverness too. After all, it’s not every day that one travels 9 000km to the Northern Hemisphere ;-) I remember the excitement I felt as the departure date of my trip closed in. I had planned to visit my family – who live on the Isle of Sheppey (about a two hour train trip from central London) – do some sightseeing, take the hop on hop off city buses (I love doing this when I travel – such a great way to see and experience a city), a little bit of shopping and of course some good food EATING! 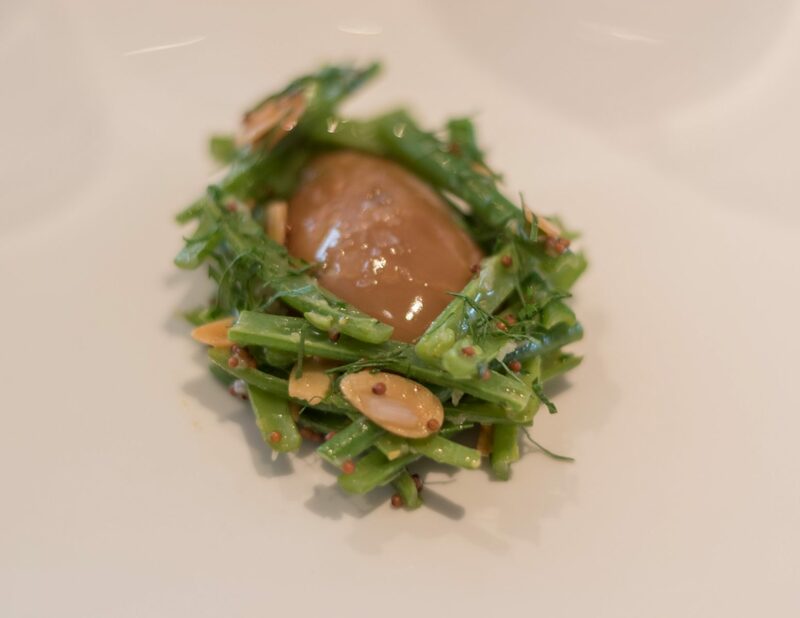 One of the very first restaurants my benedict and I booked for – and I mean months in advance – was Gordon Ramsay’s Michelin-star restaurant, Petrus. This was something we had both always wanted to do; it was sort of a ‘bucket list’ type treat to be able to eat at Petrus. And what an amazing experience it was. Petrus is based in the area of Knightsbridge in London, just a short walk from Knightsbridge tube station. The restaurant is beautifully designed and you can just feel it’s something very special from the moment you walk in. There was a set menu available for lunch serving three courses with a few options available for each course. I started with the garden salad. 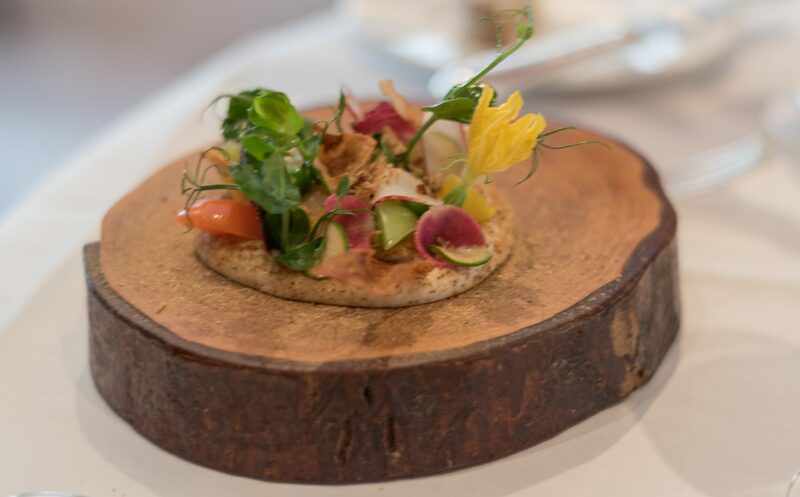 It was the most beautifully presented salad I have ever seen, served on a wooden laminated disc sprouting garden shoots and flowers. It tasted absolutely superb as well. I really loved the creamy brie based puree served with the salad. Thereafter I was served a pallet cleanser. 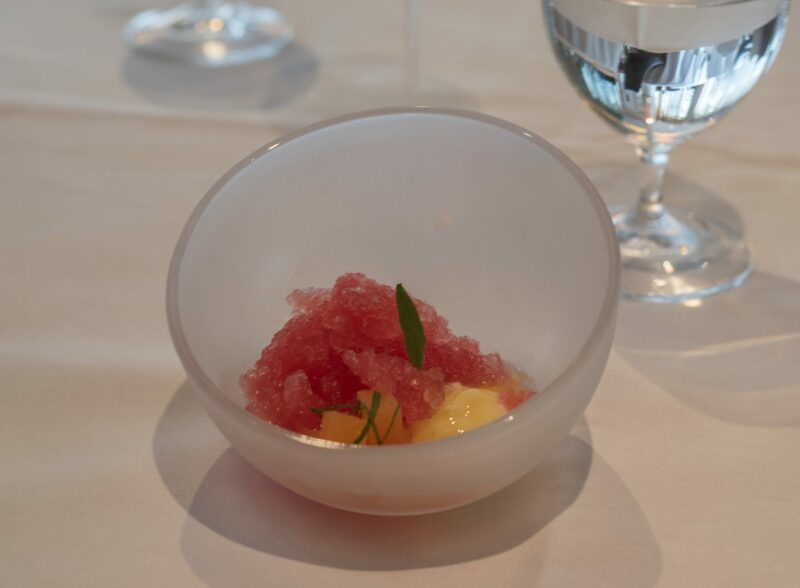 This was a watermelon sorbet served with lemon curd and fresh fruit. It was lovely, light and fresh. For my main I chose the slow roasted suckling pig with cuttlefish, charred pineapple and a cider jus. I loved the crunchy element of the crispy crackling shard. The pork was beautifully cooked and very tasty. For dessert I chose the dark chocolate tart with jasmine and lemon ice cream decorated with gold leaves. This was a seriously gorgeous looking dessert. The rich dark chocolate was very well balanced by the fresh lemon ice cream. 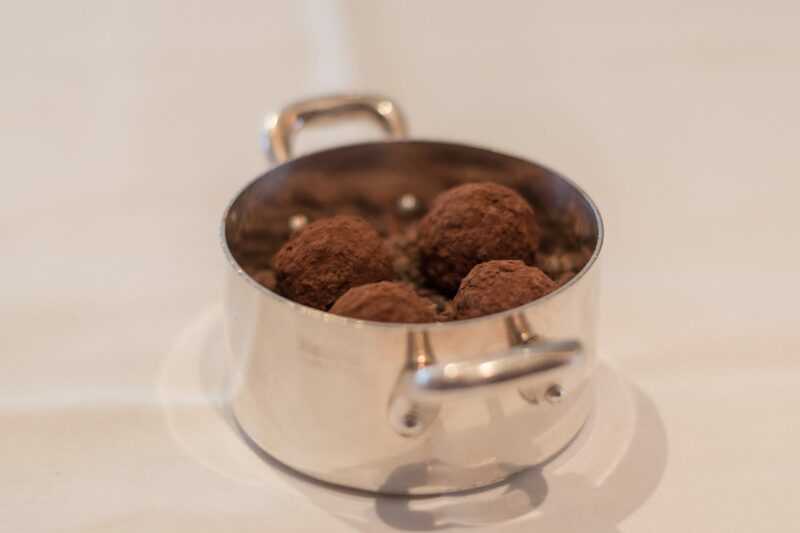 To end off we were treated to petit fours; absolutely delicious chocolate truffles. 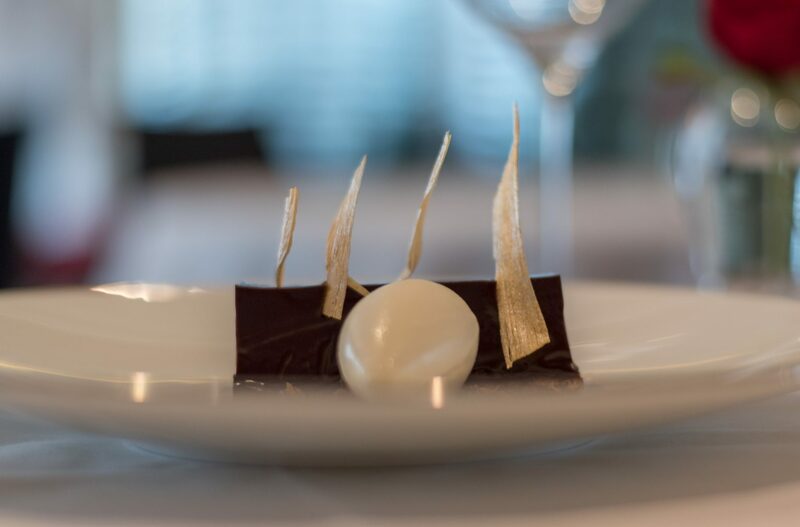 The service at Petrus was impeccable – as one would expect from a fine dining restaurant of this stature. However, beyond what is expected… When we received our bill we noticed that we had not been charged for our wine. The manager apologised profusely and refused to have us pay for our wine since he insisted that it was their mistake. I was quite shocked at this amazing treatment given the fact that our wine alone was a considerable amount. There’s not much else one could ask for when you receive such great service in a beautiful setting and superb food. 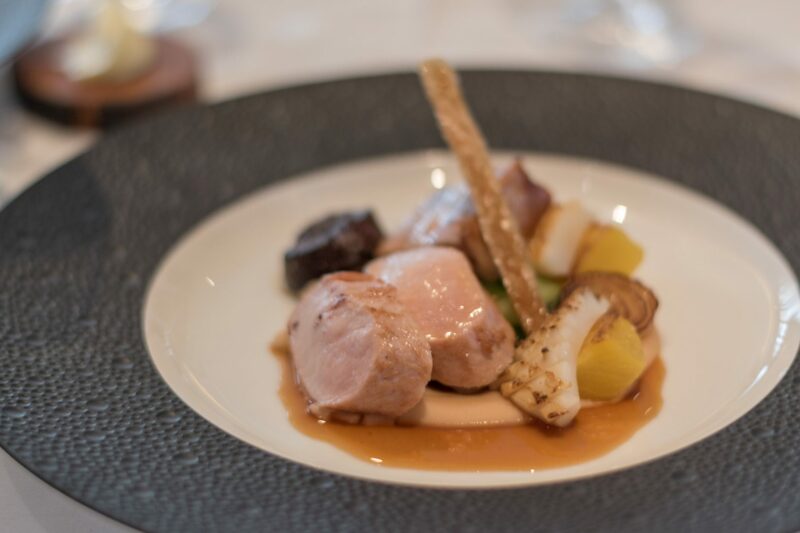 From start to end, my experience at Gordon Ramsay’s Petrus was a phenomenal one and something I will always remember. I’ve never heard of this restaurant, it looks amazing. The food is presented so well. I’m going to take a look! Your page layout and blog format is great too. So easy to read! Yes I highly recommend giving it a try. 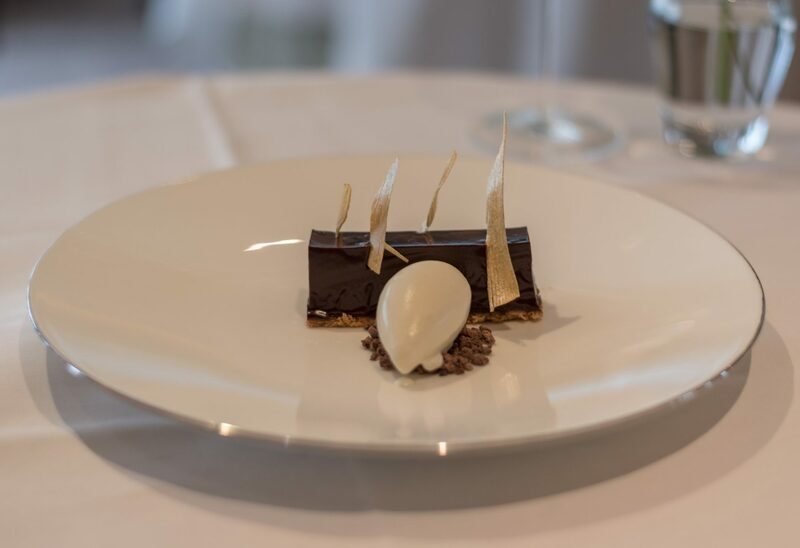 Loved my experience at Petrus.